As the secondary crushing equipment, cone crusher is widely used in mining crushing and stone production line. But in operating, there are some factors can lead to cone crusher poor performance. 1.Dynamic cone and fixed cone is damaged. If the dynamic cone and fixed cone is damaged in working, the cone crusher can not play the crushing force and the output material will be too large. 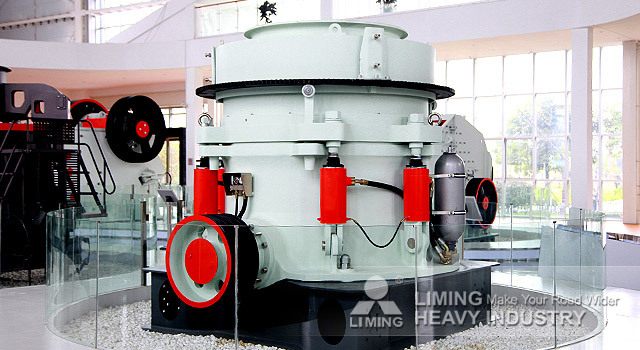 The large product can not be discharged from the crushing chamber, causing crushing cavity blockage. 2.Material does not meet the requirements of the equipment. Cone crusher has certain requirements for materials. Material hardness and size can not exceed the maximum limit of the machine. 3.Too large discharge port. Some users adjust the discharge size to improve the output capacity. But too large discharge port will cause the material can not get enough broken. 4.Voltage instability. Voltage is also a key factor affecting product quality. 5.Unreasonable Crushing chamber structure. Crushing chamber is the only crushing area of cone crusher. If the structure design is unreasonable, will inevitably affect the quality of the product. In short, we have to operate the cone crusher accurately to make the high quality product.